4k00:12Sun Shining Through Fall Leaves Blowing In Breeze. Slow Motion. hd00:26Close-up on beautiful autumn fall leaves blow in the wind in a park. Seasonal. 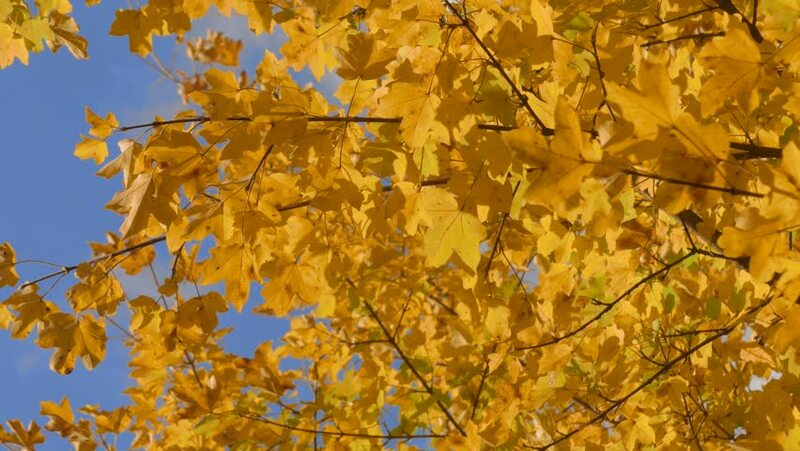 4k00:09Tree trunk with yellow leaf on the sky background. Shot of treetops in autumn.